Why should a first-time home buyer get pre-qualified for an FHA mortgage? There are a variety of reasons to consider, but one of the most important is being able to see how much home you can afford and how much loan a lender is willing to offer you based on your credit score and history. 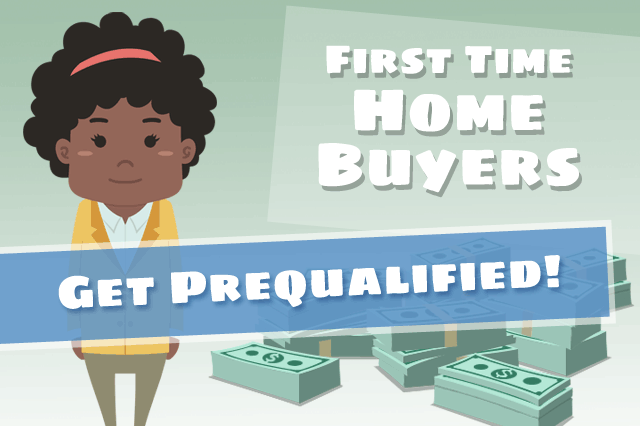 February 2, 2019 - Why should a first-time home buyer get pre-qualified for an FHA mortgage? There are a variety of reasons to consider, but one of the most important is being able to see how much home you can afford and how much loan a lender is willing to offer you based on credit scores, credit history, debt ratio, etc. What Does the First Time Home Buyer Prequalification Process Involve? Is not the same as home loan preapproval and is not a commitment to the borrower. Getting prequalified is a first step toward home ownership and shows a seller you are serious about making a deal and not just window shopping. The prequalification process is tricky in that after looking at the numbers long enough, it won’t seem like a bad thing to consider spending more each month for the home loan. But establishing a budget is a very important part of this process-stay committed to the amount of money you can reasonably afford to spend on a mortgage. Are You Ready To Pre-Qualify For A Home Loan? If you don’t know how much your debt ratio is, or if you aren’t sure what your FICO scores are, you are likely not yet ready to begin the prequalification process as a first-time home buyer. You should know how much money you have coming in each month compared to how much is being spent, you should know your FICO scores and the contents of your credit report. Do you know how much money you will have to use as a down payment? This is an important question for both the pre-qualification process and for your own budgeting needs. You may be able to find first-time home buyer down payment assistance by local programs in your area-be sure to ask the lender if she knows of any such programs that could help. It is also very good to research the prices of homes in your preferred neighborhoods to see how the current housing market prices match up with the amount you can afford to spend on a monthly mortgage payment. Looking at these areas before you begin the process will help you work better with your lender to decide how much loan is right for you. Talk to a loan officer today if you are not sure how the pre-qualification process affects your ability to get approved for a home loan and purchase your first home.